Aloe polyphylla is at once one of the choicer Aloes and one of the more tricky in cultivation. The plants originate from the highlands of Lesotho at around 8,000 feet. The conditions it grows in are often cold and quite wet, however it is still very easy to get the plants rotting in cultivation. 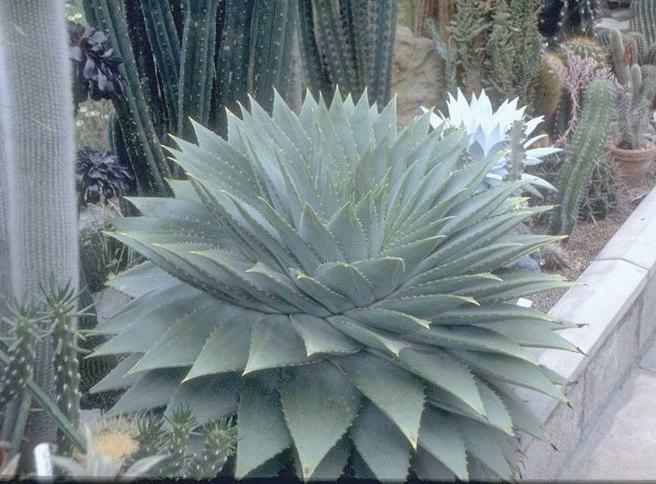 The plant photographed was growing in the nursery of Cruck Cottage Cacti in North Yorkshire, UK and is the best plant I have seen in the UK. I understand it has subsequently flowered. Perhaps the conditions in North Yorkshire are similar to the Lesotho highlands!